CrossFit is a fitness regimen developed by Greg Glassman over several decades. Glassman, CrossFit's Founder and CEO, was the first person in history to define fitness in a meaningful, measurable way: increased work capacity across broad time and modal domains. He then created a program specifically designed to improve fitness and health. The community that spontaneously arises when people do these workouts together is a key component of why CrossFit is so effective, and it gave birth to a global network of CrossFit affiliates that number over 11,000. Harnessing the natural camaraderie, competition and fun of sport or game yields an intensity that cannot be matched by other means. We get people going by making them take part in our Foundations classes. These are for the individual that wants to ramp up into our fast-paced, group-structured, functional fitness classes. Movement curriculum is sequential, and attendance to all sessions is fundamental for gaining the necessary movement proficiency before entering normal CrossFit class times. Check the schedule for the next foundations class available. A functional fitness program that combines weightlifting, body weight, cardiovascular, monostructural and basic gymnastic principles to develop you into a very well-rounded machine. The goal is to raise as many fitness markers as possible across the board. We base our program around a solid strength training program to ensure continual results and allow the member/athlete to track progress along the way. Each class a knowledgeable coach will take you through the day's programming (WOD), teaching and fixing technique and form as you go. It's like having a personal trainer at every session. Taking strength and power to another level. 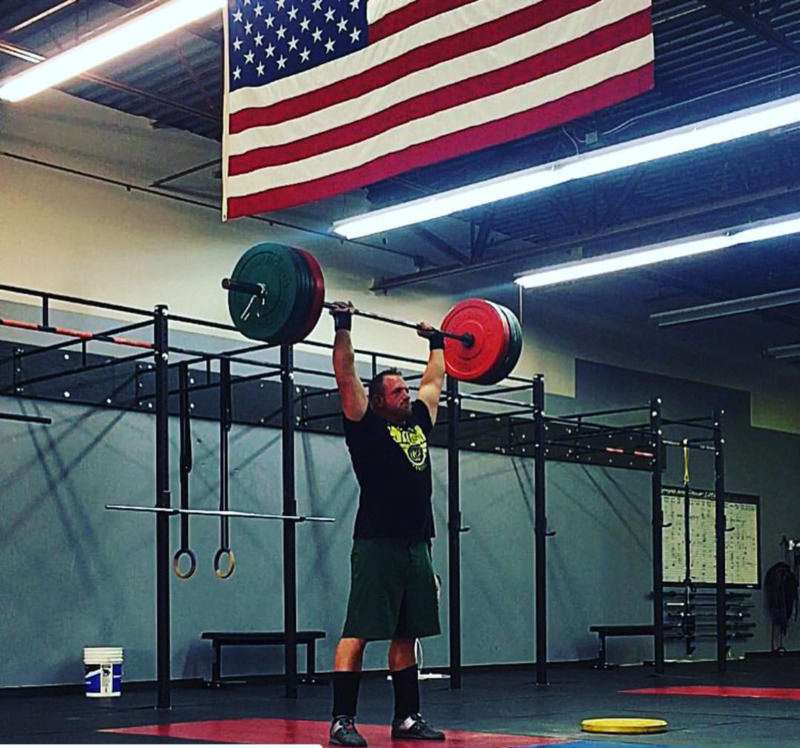 We have everything you need to become the best Olympic Weightlifter you can be. We have had the joy of being a part of producing some pretty amazing athletes including numerous American Open contenders, two state champs, and produced a handful of state records. Our athletes receive comprehensive programming and coaching to keep them growing in the sport. This is a completely separate programming from our CrossFit classes and must be tested into or at least have a foundation of CrossFit, strength training, or Olympic Lifting. We have produced multiple State Record Holders, state Champions and National Qualifying lifters. If you are ready to learn how to lift and embrace the world of Olympic Weightlifting now is your chance. Nutrition is an emotional and mental tug of war for most people, we get it. We are those people. There are many meal plans out there you can purchase that will tell you exactly what to eat. Most likely they're simple (chicken, brown rice, and broccoli anyone? ), they're macro and/or micro-nutrient deficient, and the designer doesn't take the time to educate the client on why the meal plan is the way it is. Those entities would rather sell you a fish than teach you how to fish. If there's one element that sets us apart from other gyms, it's how we incorporate nutrition into our routines, and educate our clients on how to feed themselves. Long term change is hard, but it's proven. We believe it's worth taking our people through each step of the process and educate you along the way. The Aether Shred has developed into an extremely effective 8 week cycle. We start you with a custom meal plan that include shopping list and recipes, and use existing CrossFit, Olympic Weightlifting, and strength training programming to educate and train you to become a top performing athlete, or to just lose weight and be a better you. You're invited to attend nutrition seminars that teach actually teach you, discuss your goals with a coach, and practice making delicious meals that we share via social media and through your meal plan each week as you go. We also go in depth on how to track your foods on My Fitness Pal and live life off your meal plan as well. Overall, the goal is to reach peak muscle gain and weight loss while actually mastering your nutrition. CrossFit class sizes range from 5-15 individuals on any given day. The class schedule can be found at the "Schedule" link above.